Kaplanlar International Cartoon Contest held within the scope of the 40th year activities has been interested more than predicted. 506 cartoon artists from 14 countries have participated with 1400 works to our competition which has won 3 stars from the International Federation of Cartoon (FECO). On Monday, January the 15th, the jury in company with many valuable cartoon artists will select the final cartoons and the winners will be announced on Tuesday the 16th by Turkish and English Press Bulletin. 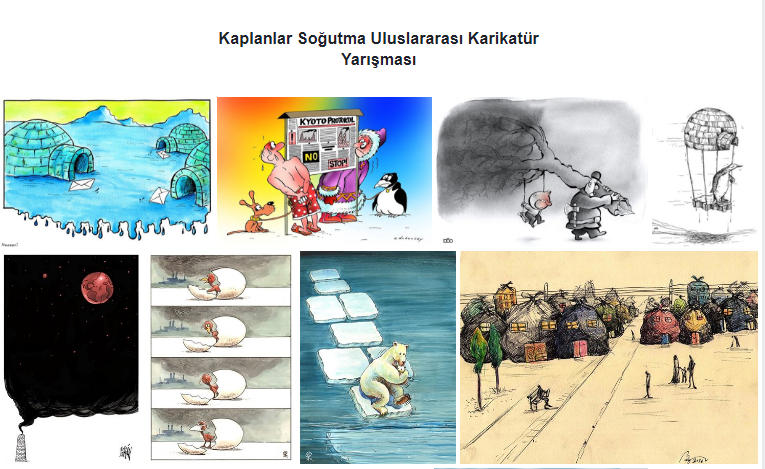 0 Response to "Selected Works Kaplanlar International Cartoon Contest, Turkey"